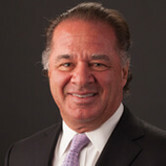 Charif co-founded Tellurian and serves as Chairman of the Board. 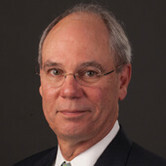 He also founded Cheniere Energy, Inc. in 1996 and served as Chairman of the Board of Directors, Chief Executive Officer and President until December 2015. Prior to Cheniere, Charif was an investment banker. He serves on the board of trustees of the American University of Beirut and as a member of the Advisory Board of the Center on Global Energy Policy at Columbia University. Charif received a B.A. from Colgate University and an MBA from Columbia University. 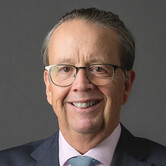 Following his studies which commenced with a bachelor's degree in geology from Newcastle University in 1979 and then a petroleum geology master's degree from Imperial College London in 1983, Martin was employed by BG Group plc and its predecessor companies, retiring after 32 years in February 2014 as chief operating officer and a member of the board of directors. He's managed all forms of enterprise in the energy industry, has established a strong external reputation in the international gas business and is largely credited with being the key architect of BG Group's world class LNG business. In recognition of this, in 2011 he was the first recipient of the CWC LNG Executive of the Year award. He was previously (2004 - 2009) a non-executive director of Severn Trent plc, an integrated water and environmental company. He is a former director of SIGTTO, the international organization representing gas tanker and gas terminal operators worldwide. From 2008 to 2014 he was the GIIGNL regional vice-president for the Americas. Between 2015, and 2018 he was the chairman of TPH International, a boutique investment bank based in Houston, Texas. In January 2014, he was appointed as a non-executive director of BUPA, an international healthcare group. He sits on the nominations committee and is chairman of the remuneration committee. In June 2014, he was appointed a non-executive director of CCC Energy, a private E&P company with 40,000 bbl/d oil production in Oman. In February 2016, he co-founded Tellurian Inc. with Charif Souki and is now the vice chairman. Tellurian is developing a ~27.6 mtpa LNG export project in Louisiana. In June 2016, Martin was appointed as vice-chairman of Hakluyt North a company which provides independent, strategic advice to the world's leading multinationals and financial institutions on complex issues. In February 2018 he was appointed by Moelis and Company as Chairman of its global energy group. Member of the advisory board of the Global Energy Policy unit at Columbia University's School of International and Public Affairs, New York. Meg joined Tellurian as President and CEO in August 2016. She previously served as Executive Vice President-Marketing at Cheniere Energy, Inc. In addition, she served as Senior Vice President-Marketing, Senior Vice President and Chief Financial Officer, Senior Vice President-Strategic Planning & Finance, Vice President of Strategic Planning, and Manager of Strategic Planning for Cheniere. Before Cheniere, Meg spent eight years in energy market development, economic evaluation and long-range planning. She conducted international business development and strategic planning for Anadarko Petroleum Corporation, and energy market analysis for Pace Global Energy Services. Meg received a B.A. in Economics and International Affairs from James Madison University in May 1996 and an M.B.A. from Rice University in May 2004. 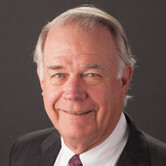 Dillon J. Ferguson is a partner at Pillsbury Winthrop Shaw Pittman LLP in its energy and litigation practices. Mr. Ferguson focuses his practice on oil and gas law, with an emphasis on both transaction and litigation matters. His clients are comprised of companies and individuals who are engaged in oil and gas activities, including exploration, production, processing, transportation, marketing and consumption. Mr. Ferguson has been a partner at Pillsbury Winthrop Shaw Pittman LLP since May 2016. He was a partner at Andrews Kurth LLP from 2001 to May 2016. Mr. Ferguson earned his B.B.A. from The University of Texas at Austin and his J.D. from South Texas College of Law. Ms. Diana Derycz-Kessler is a private investor with holdings in a variety or sectors including oil and gas. Related to her investments she has taken on active operational roles, including special counsel to Bristol Capital Advisors and a 17-year tenure as CEO of the media arts college Los Angeles Film School. 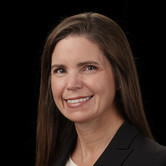 Ms. Derycz-Kessler's early career began as a lawyer in the international oil and gas sector working for the law firm Curtis, Mallet, Prevost, Colt and Mosle, and subsequently for Occidental Petroleum. She worked out of New York, Mexico and other Latin America countries. Ms. Derycz-Kessler launched her private practice with a focus on oil and gas, investments, and capital raising representation. In 2000, she and her husband founded their investment advisory firm which led her to her current role as an investor. Ms. Derycz-Kessler became a leader in UNESCO's TeachHer program, a private public sector partnership bridging the global gender gap in education. 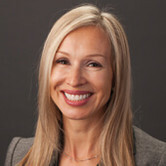 Ms. Derycz-Kessler holds a Law Degree from Harvard Law School and a Master's Degree from Stanford University and a bachelor's degree from University of California, Los Angeles (UCLA). She is a member of the New York State Bar Association, the State Bar of California and the American Bar Association. Brooke Peterson has been involved in resort development and real estate for over 35 years in resort areas all over the United States and the rest of the world, including Colorado, New Mexico, Idaho, California, and South Carolina, Australia, New Zealand, and Ireland. He has also participated in the development of commercial and residential property in the urban areas of Colorado. Mr. Peterson also serves as a trustee of several trusts of high net worth families, is involved in non-profits, is the Municipal Judge of the City of Aspen, is a member of the Colorado Bar Foundation, and in his capacity as a Manager of Aspen Blue Sky Holdings LLC and its affiliated companies, is presently involved in a development project in Sun Valley, Idaho. 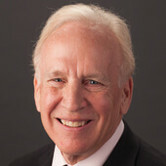 In addition, Mr. Peterson serves as a Manager of Ajax Holdings LLC and is CEO of Coldwell Banker Mason Morse. He previously served as the President of the Aspen Valley Ski Club, on the Board of Trustees of the Aspen Valley Community Foundation, and as an arbitrator and mediator through the offices of the American Arbitration Association. Mr. Turkleson began his career in public accounting at Arthur Andersen and has served in various financial roles at public companies including in the role of Chief Financial Officer at Cheniere, Laurus and Gulf Coast Energy Resources. His experience includes initial public offerings, mergers, acquisitions, master limited partnerships, project financings and debt offerings. He is recognized for corporate leadership, corporate governance and strategic planning, and working toward stability in environments of change and rapid growth. He has served on the board of directors at ACCEL Energy Canada Limited, Cheniere Energy Partners LP Holdings, LLC, QEP Midstream Partners GP, LLC, Miller Energy Resources, Inc., Cheniere Energy Partners GP, LLC, and Stone Horn Ridge, LLC. 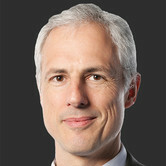 Eric Festa is Vice President Midstream Gas Assets for TOTAL. He recently held positions of Global Head LNG Business Development, Vice President M&A Upstream and Vice President Corporate Strategy. Eric also served as Managing Director of one of TOTAL’s Exploration & Production affiliate in the Middle East and, earlier in his career at TOTAL, held various overseas positions in upstream operations, engineering and project development. Eric received a MEng. in Energy from French engineering school Centrale-Supelec and subsequently obtained a Master from the French Petroleum Institute (IFP School) in Paris. He was a visiting scientist in the Energy Lab at the Massachusetts Institute of Technology for two years before joining TOTAL.